The ultimate, classic Little Black Dress! 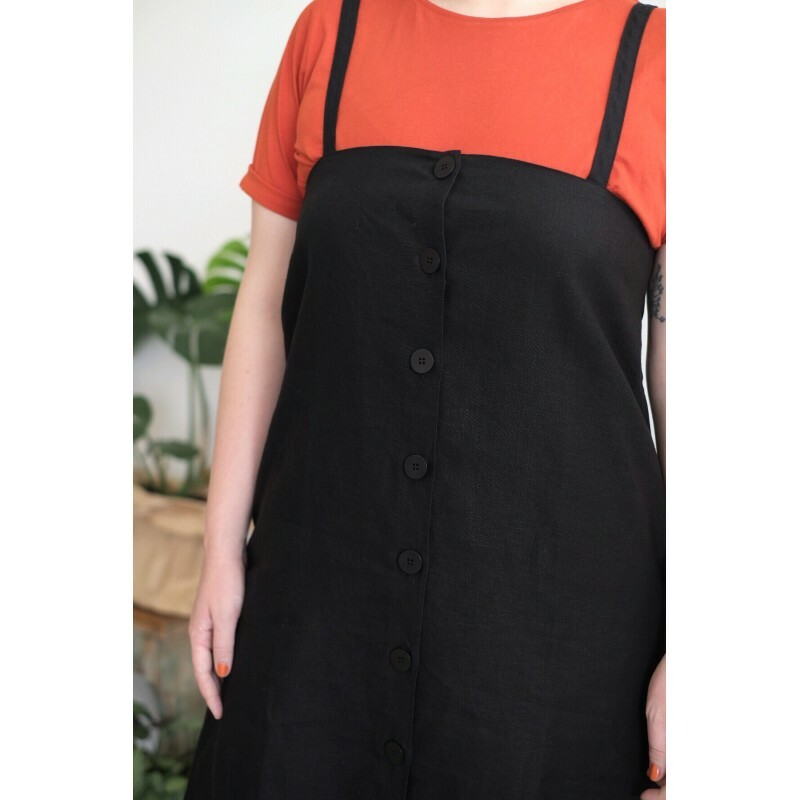 With sustainably farmed Tagua nut buttons, two pockets and the ability to be worn back to front. Handmade in small quantities in Adelaide, using premium 100% hemp linen - surprisingly soft! Style with a t-shirt and sneakers, or pair with heels for a dressier option. 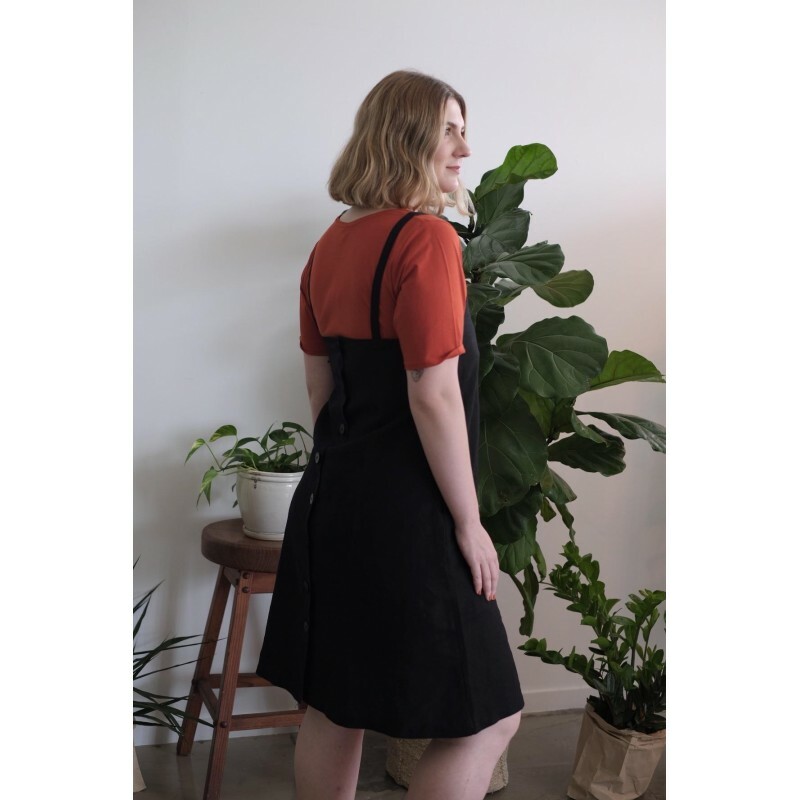 Good Studios is a sustainable clothing and home wares label championing hemp fabrics and exploring classic contemporary design, founded in late 2012 by Adelaide based production designer and stylist, Anny Duff. 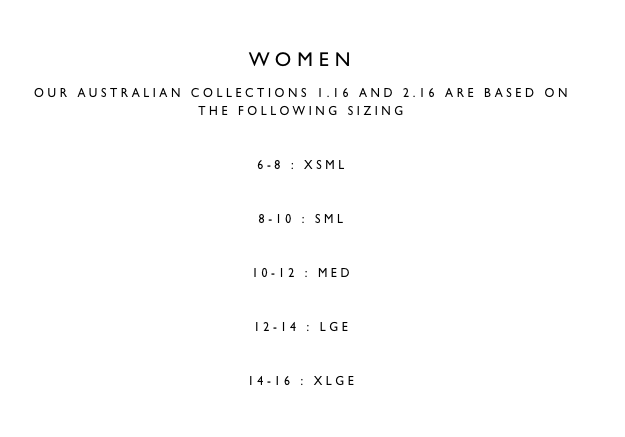 Their collections are 100% Australian designed and made. Good Studios follow a simple, timeless colour palette of neutrals, naturals and monochromatic with seasonal pops of colour and collections consist of capsule ranges exploring sustainable fabrics, running alongside core trans-seasonal staples. FABRIC ORIGIN: Hemp, Heilongjiang, China. Woven in Qingdao, Shandong, China. SIZING: Although this garment is reversible, we have noticed it does sit rather low when worn with the buttons facing the front. This can be easily remedied by layering it over a basic t-shirt or tank! 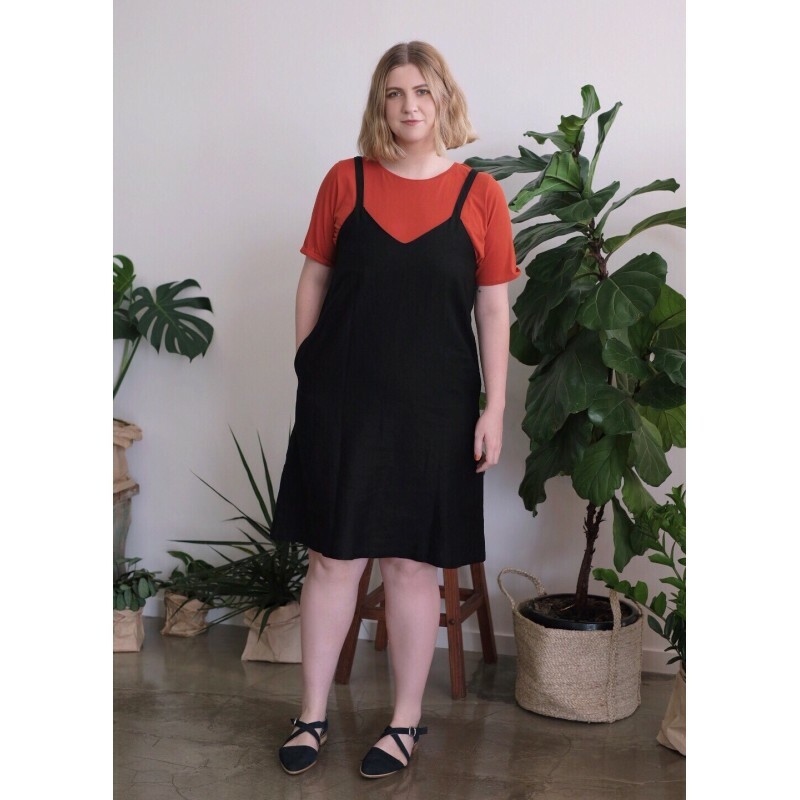 Elia is wearing a size L.
Model (final two images) is a Australian size 6-8 and 160cms tall, and is wearing a size X Small. Cold wash at 30 degrees. Do not bleach. Do not tumble dry. Iron at warm to high temp (always test first). Do not dry clean.